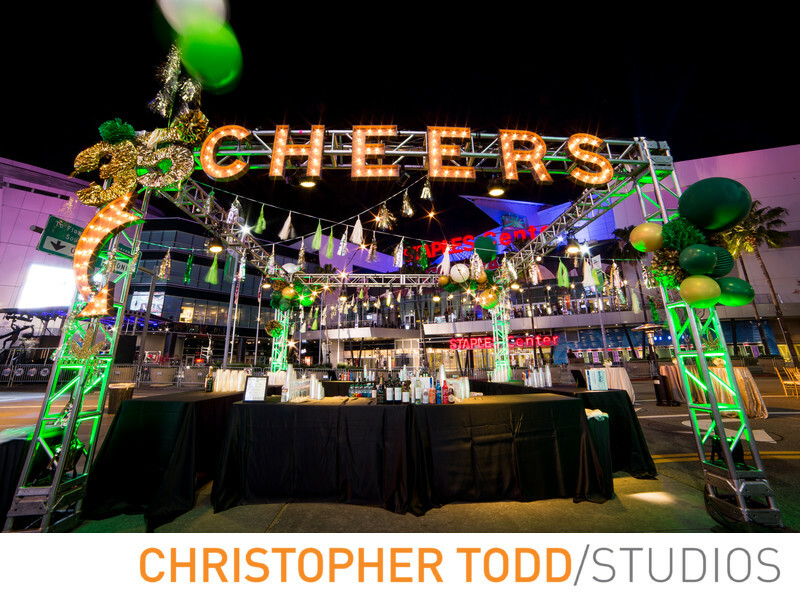 As a frequent photographer of large and small corporate events at LA Live, I find it to be an exciting venue with lots space and great energy. In this photograph which took place close to St Patrick's day you can see the green lights around the stage and the Cheers sign above the bar. If you look closely you can see the staples center in the background. If you are in search of a professional event photographer with experience in LA more specifically La Live please give my studio a call at 800-501-2063 or contact us through my website. Location: 800 W Olympic Blvd, Los Angeles, CA 90015.